One of baseball's stupidest tropes is the magic number for the Hall of Fame. 300 wins and your in the Hall of Fame. Don't and you're most likely not—especially of late. Nothing else gets taken into account. For instance, this week, on ESPN's Mike and Mike radio show, they broached the subject of Jamie Moyer and the Hall of Fame. Jamie Moyer? Are you kidding? The man has a 4.22 lifetime ERA, has appeared in exactly one all-star game and has a scintillating 105+ ERA for his career. Why is there even a discussion about Moyer in the HOF? Oh, that's right. Because he has a chance to win 300. Never mind that the only way Moyer wins 300 games is due to longevity, not excellence. But, of late, most HOF writers would rather stick with the easy boundary. 300 and you're in. Not, and you're probably not. Which brings us to Andy Pettitte. Pettitte has a very outside shot of winning 300—but its more likely he wont. But will the BBWOA consider his case even if he doesn't win the Golden 300? Let's compare Pettitte to some other pitchers with similar careers who made it to the HOF. Don Sutton, for instance, was always a guy I questioned whether he should be in the HOF. Sutton only had an ERA+ for his career of 108—much less than Petitte's 117+. His win percentage of .559 is nowhere near Pettitte's .635. And like Pettitte, he never won a Cy Young. And unlike Pettitte, he amassed horrible stats in the World Series games he pitched in, earning a 5.26 ERA and giving up 7 HRs in 51 innings. But Sutton has the 300 wins, so that gets him in. Another comparable pitcher is Tom Glavine. 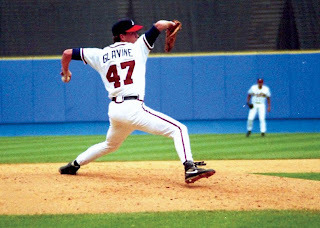 A contemporary of Pettitte's and a lefty, Glavine hung on long enough to get his 300th win, just barely. Aside from that his numbers match up fairly closely: A 118 ERA+ to Pettitte's 117. 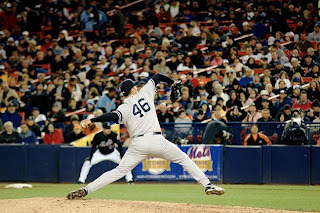 A 1.314 WHIP to Pettitte's 1.354, and like Pettitte was a good postseason pitcher. Pettitte was much more of a strikeout pitcher than Glavine was, and Pettitte walked fewer per 9IP. But the big difference is that Glavine won 2 Cy Youngs, while Pettitte came in 2nd just once. Comparing Pettitte to some close-but-not-quite HOF pitchers may illuminate the case even more. Tommy John, Jim Kaat and Bert Blyleven all never won Cy Youngs; all have ERA+s close to Pettitte's—111, 108 and 118 respectively; and all ended up with about 40 more wins than Pettitte has right now, but just short of 300 wins. It is interesting to note that all did, however, have nowhere near Pettitte's win-loss percentage. Blyleven, John and Kaat played on some poor teams (or, at the very kindest, some average teams), and had they played on some better ones, might have made 300 wins and be in the HOF. But they didn't, so they're not. Perhaps the most interesting comparisons are these next 3 pitchers, for some obvious reasons. Herb Pennock was a pitcher for the Red Sox and A's earlier in his career, but became a Yankee just as they became dominant in the 20s and 30s. Like Pettitte, Pennock is probably best known for a big game lefty pitcher for the Yankees in the 20s and 30s, having gone 5-0 in his 5 World Series games. Likewise, the rest of his stats match up very close to Pettitte. Pennock has a 241-162 record and a 3.60 ERA, which adds up to a 106+; not quite as good as Pettitte's record of 238-137, 3.87, 117+. Pennock's winning percentage of .598 is not as high as Pettitte's either. Pennock, however, made the Hall of Fame after about a decade of voting. His time with the legendary Yankees of Ruth, Gehrig, Dickey and Lefty Gomez and his World Series wins most likely helped his voting. Catfish Hunter was another big game pitcher, being a part of 5 World Championships and having a sterling 3.29 in those 5 Series. He had a lifetime 105+ ERA, a Cy Young Award in 1974 and a 1.134 WHIP, which is good for 44th all-time. As good as his numbers are, though, his win %, his ERA+, his H/9, his SO/9 and even his postseason win % aren't as good as Pettitte's. Like, Pennock, the fact that Hunter was a multiple WS winner most likely helped his vote to the HOF. 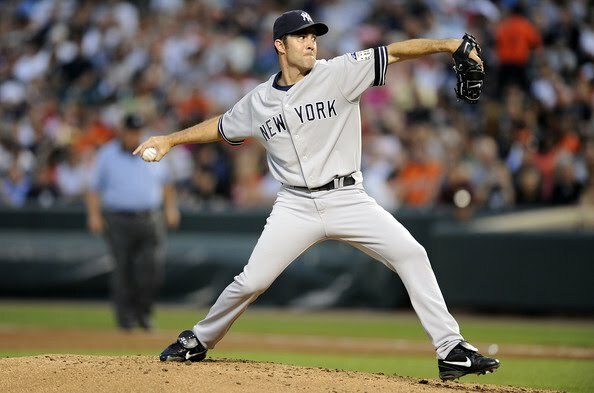 Lastly, we have Mike Mussina. Mussina is a very interesting case, because, besides being a contemporary of Pettitte's, and a teammate, in many ways, his numbers are better than Pettitte's. His WHIP, his ERA+, his H/9, his SO/9, and believe it or not, his postseason pitching, are all better than Pettitte's. Pettitte has a better postseason W/L record than Mussina, but Mussina had a better overall postseason— specifically World Series—ERA and WHIP than Pettitte has. The big problem, however, with Mussina, is the stigma of never winning the big one. The Yankees and Orioles, when he was the ace, never won a World Series. Pettitte, who's Yankee career bookended Mussina's, won 5. And don't think sportswriters won't have that in their heads when they are casting their vote on Mussina's HOF ballot. Overall, to the question of Does Pettitte get in, I think he does. While his stats put him on the fence, his 5 World Series rings (so far) get him in. Which is unfair in a lot of ways. If Pettitte had pitched in Pittsburgh, and had been mired in a losing atmosphere for years, had pitched similarly but hadn't been to the World Series, he would never have had a chance for the HOF. But he pitched with the Yankees and pitched well, and therefore he gets in. He will be considered, but a couple of things have to happen for him to get over the hump. He will have to win about 40 more games over the rest of his career (he will have to pitch at least 2 seasons after this one). Also, when the Yankees make the post-season, he will need to pitch at the level that has gotten him his post-season record of 18-9 in his career. If he were to retire with, say, a 24-12 career post-season record, that would help him a lot. I think Mussina should be a shoo-in, although it may not work out that way. He pitched his entire career in home ball parks that are Taylor-made for lefty power hitters, so he was subjected to more challenging line-ups (including a DH) in all his home starts. I couldn't agree more. I was at the HOF recently, and I was amazed at how many pitchers were in that didn't have 300 wins. The idea that you shouldn't make it in unless you have 300 wins is a new one, I think, and it is overkill.